According to the 2017 Monetary Policy presented by the Reserve Bank of Zimbabwe, DStv subscriptions and card payments were the second highest driver of foreign currency spending through Nostro accounts. Between July and December 2016, US$206.66 million was used for payments for satellite TV service DStv and card transactions, a total only surpassed by the US$331 million spent on fuel. During this period Zimbabwean foreign currency payments for DStv and card transactions exceeded other transactions such as the importation of raw materials for the manufacture of products like cooking oil, maize imports and the allocation for machinery and telecoms equipment. Does this mean DStv payments will be controlled or banned? In the monetary policy statement, the RBZ pointed out how this is not sustainable calling the higher spend on DStv subscriptions instead of raw materials to produce goods like cooking oil counterproductive and illogical. The central bank has also said that it will introduce measures to stick to its import priority list which it released in 2016 as a guide to which areas were to get preference for forex payments. On the list, DStv and card payments had a lower priority than raw material importation. The Bank shall quickly move to redress this market failure through measures that compel banks to adhere to the import priority list and to mitigate against institutional indiscipline such as the use of more foreign exchange for personal card and DSTV transactions ahead of raw materials to produce cooking oil, for example. Financial institutions should do some soul searching and rethink on how they add value to the economy under the New Normal. This doesn’t say how DStv or card payments will be affected exactly (they aren’t being banned) but it does suggest that unless certain arrangements are made by such service providers such transactions might not be as swiftly handled as they aren’t high on the priority list. Bring back the billions !!! and Investment. Do you not know why there is no Forex? How can ZIMRA generate money when 99% of the Economy has collapsed because of Politics. Please think. Zimbabweans please stop paying Dstv, let’s save the country forex by all buying little oil presses and making cooking oil at home. This is just as exciting as watching Champions Leaguev soccer. with these stats, I wonder who is still watching ZTV….. I was quite taken aback when I saw the figures. 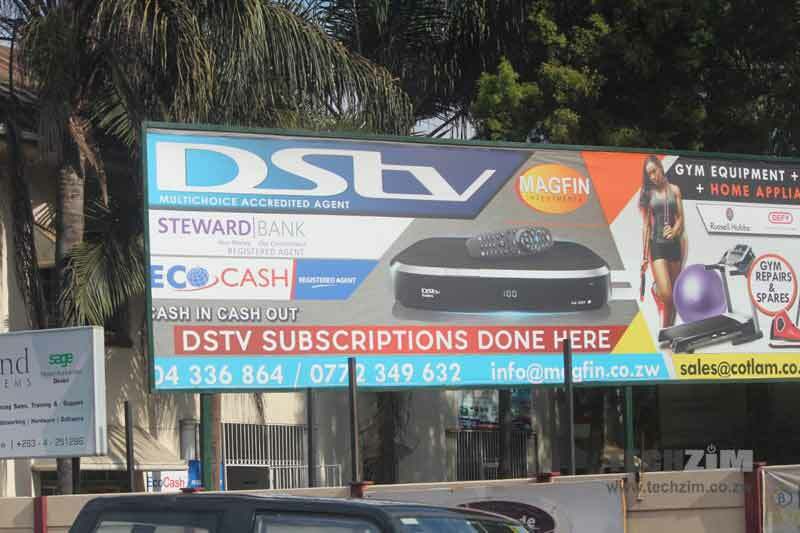 I knew DSTV was coining it in Zim but DAMN – that’s like half a billion a year for watching TV – ma zimbah lets be serious! Come on now! All this money going to one of apartheid’s major funders back in the day (google it) and it also slows the growth of our own local industry while eroding our own culture and values as well – after seeing these figures I wouldn’t be too opposed to a ban here to be honest. As a nation WHAT ARE WE GAINING for that half billion per year??? We can’t always respond saying “heeeh it was the govt that mismanaged broke the economy what what” when confronted with our own stupidity. this is too much – even if the economy was firing on all cylinders this would be too much! Do u like watching talking farming at 7pm on a saturday night or a test match the whole of sunday? And yet your comrades block kwese? The reason people buy foreign services is because YOUR govt has made it impossible for anyone to provide a decent local service. You think that DSTV figure is bad, go look at what your govt is spending on German sports cars, hotel bills, flights.. Unbelievable that you defend those tsotsis. Rbz shud pressure Gvt to open up Tv airwaves, which will create variety, employment and pple will switch to local stations thus reduce forex spending. This is a win win!! You banned KweseTV, was it because of The 7th Column, Charamba can answer that. Mangudya is not telling the truth, where are the figures which shows how much Zanu Pf have spend on cars. Zanu Pf is not buying local cars, so how much Mangudya? True. How much has bob spend on foreign trips? One of the benefits of being on the ZBC board is a free DSTV subscription!!!!!!!!! What does that say about local content? The fact that RBZ is trying to step in just proves that money in the bank is not USD! What is the split between DSTV and card transactions? I have reason to believe that card transactions are higher, some people were abusing the card facilities even buying vehicles. At US$91 for the most expensive bouquet a million subscriptions would still only be $91 million per month. That figure needs to be broken down further. Because there is noone with a vision in Zanu PF, we are losing over $200m monthly. Victoria Chitepo prevented Multichoice from opening in Zimbabwe ages ago. This would be money coming into Zimbabwe right now (not going out) only if she, her colleagues or the president had a VISION. They don’t. Surely it will not be suprissing to get up one morning and find Zimbabwe missing from Africa!! !